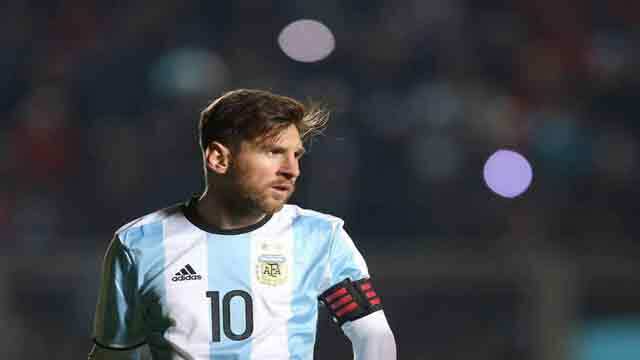 Dhaka, Dec 15 (Just News): Argentina will be a better team at the 2018 World Cup than the one that struggled during the South American qualifying tournament, according to Albiceleste captain Lionel Messi. The two-time World Cup champions avoided missing football's biggest event for the first time since 1970 when a Messi hat-trick ensured a 3-1 victory over Ecuador in the final CONMEBOL zone qualifier in October. Argentina have been drawn in the same group as Croatia, Iceland and Nigeria for the June 14-July 15 tournament in Russia. "We'll be in good shape when we get there because we're still growing," the Barcelona forward told FIFA.com, Xinhua reported on Wednesday. "We had to go through something that we didn't expect or deserve, because we had earlier matches against Venezuela and Peru that we could have won easily. If we had, then we wouldn't have had to go through what we did at the end. "We've had four competitive matches with a new coach (Jorge Sampaoli), but the national team's going to change now that the Ecuador game is behind us. We're going to grow and get rid of all the tension and fear we felt because of that match and because of the risk of not achieving our objective." The 30-year-old admitted the scars left by the team's extra-time loss to Germany in the final of the 2014 World Cup are yet to disappear. "I don't know if they're ever going to heal," the five-time Ballon d'Or winner said. "We're just going to have to live with it. It's going to be there forever. The World Cup is a very happy memory and a bitter one too because of how it ended, how it all worked out. But it's always going to be there."